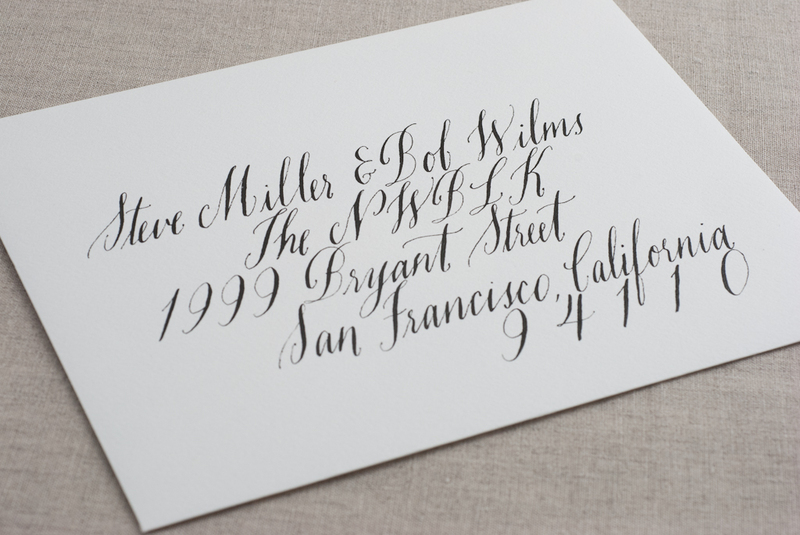 Workshop Interview: 21st Century Calligraphy With Maybelle Imasa-Stukuls. When was the last time you penned a handwritten letter instead of sending an e-mail or text? Now you can learn the art of beautiful type and lettering and basics of calligraphy with artist, illustrator and calligrapher Maybelle Imasa-Stukuls in our 21st Century Calligraphy Workshop happening August 24th and 25th. Maybelle teaches primarily in the Bay Area, and her classes are always sold out months in advance, so you can imagine how stoked we are to have her here! We speak to Maybelle to find out more about her background, inspirations and what you can expect from her workshop. To sign up or get more details on her class, visit our Workshops page. 1. How did you get started in calligraphy? I received a calligraphy set as a gift from a friend. I tried to learn on my own, it was quite frustrating and I wasn’t very good at it. I almost gave up! My husband gave me the gift of calligraphy classes with Lauren McIntosh in Berkeley. 2. Describe your signature style. Simple yet elegant, imperfect and unpretentious. 3. How do your travels inspire your calligraphy? Whenever I am in a new city, I start by looking at everything in their grocery stores, and pharmacies studying store shelves for packaging inspiration. I seek out special collections and art exhibits. Once while I was in Chicago, I contacted special collections department at the Art Institute of Chicago. I spent an entire afternoon studying their 19th century manuscripts. I was in heaven! 4. What kind of ephemera do you enjoy collecting and how do they influence your work? I get excited whenever I find old calligraphy practice books, that have been filled out. I like old botanical books, French documents, stationery, etc. I find them at antique markets, thrift stores, and the Annual White Elephant Sale organized by the Oakland Museum of California. 5. How did you get started teaching calligraphy? 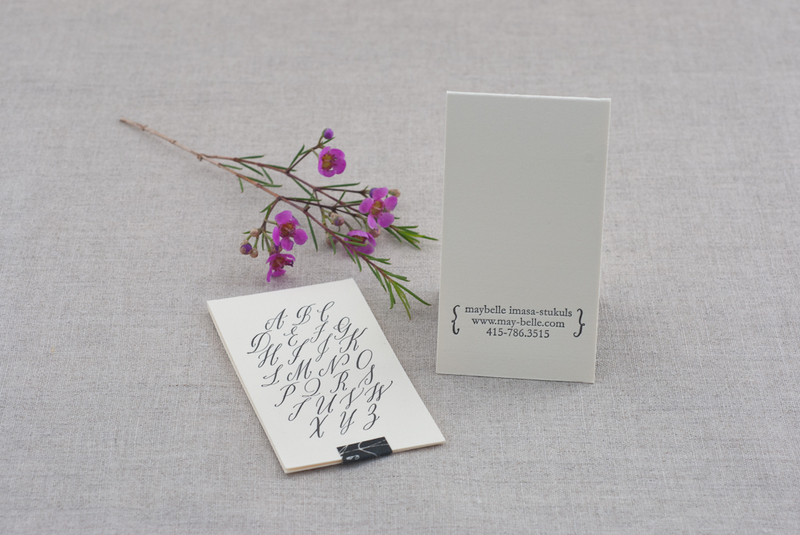 I got started by collaborating with my friend Olivia San Mateo at Olive-Route Letterpress and Design. 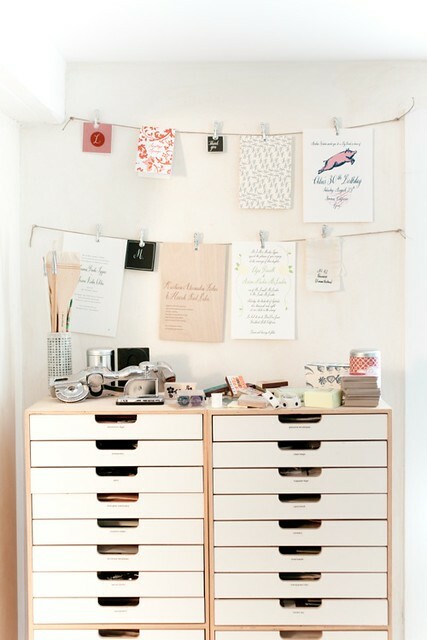 We co taught a calligraphy and letterpress class at her studio in Berkeley. Shortly after that, I started teaching at Makeshift Society in San Francisco. 6. How have you adapted the teaching of calligraphy for the 21st Century? I have found that people are seeking a little break from the hustle and bustle of 21st century style of communication such as email, texts, facebook etc and need a way to relax and slow down. Calligraphy is not for people who are in a hurry. I do use 21st Century social media such as Instagram to announce what I am doing and share what my workshops are like. 7. What can participants expect to get out of your workshop? I hope to inspire my students showing them that they can do this! It may not happen over night, but with practice, you can become very good. Calligraphy is a great way to relax and unwind. It also makes someone feel special just by hand writing something as simple as their name on a card.